NME New Music Editor Jaimie Hodgson has been picking a band each day as his favourite on our online breaking music community, NME Breakthrough. Check out his blogs here to read about My Tiger Timing, The Car Is On Fire and more. Fans can win BlackBerrys and Club NME KOKO tickets for themselves and their friends each week so keep checking back here for more chances to win. And NME Breakthrough bands are discussing who they would like to cover in our forum debate. Don’t forget to enter our search for the best unsigned band in the UK. 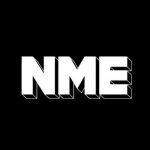 The winning act will play onstage at Club NME KOKO in London, get a page feature in NME’s Radar section and come into NME HQ to get an EPK made for them. To enter you will need to sign your band up to NME Breakthrough Supported By BlackBerry by August 16 – our team of writers and experts will be sifting through every profile over the next four weeks. After that we’ll announce our shortlist which will go up for the public vote. We gave you the 5 NME Breakthrough Tracks You Have To Hear This Week with the likes of Bromheads and Static Jacks on the list. Plus, check out NME Breakthrough Video – with tips from Frankie & The Heartstrings, Everything Everything and more. To add NME Breakthrough as a contact on your BBM and get updates on the latest new music and Breakthrough stories – access your BlackBerry Messenger folder, click invite contact, type the PIN: 2219C9BD, click send and wait for NME to confirm you as a contact. It’s that simple. NME Breakthrough Supported By BlackBerry is the new online community from NME, offering artists and fans a unique chance to interact. We’re offering a slew of opportunities to our favourite selected artists, including magazine and online features.